The following are the excerpts from the Directive Principles of the Constitution promulgated in 1950. One can see what the Constitution enjoins upon the State and what those who manage to get control of the State machinery have been doing. The State shall endeavor to secure, by suitable legislation or economic organisation or in any other way, to all workers agricultural, industrial or otherwise, work, a living wage, conditions of work ensuring a decent standard of life and full enjoyment of leisure and social and cultural opportunities and, in particular, the State shall endeavour to promote cottage industries on an individual or co-operative basis in rural areas. The State shall take steps, by suitable legislation or in any other way, to secure the participation of workers in the management of undertakings, establishments or other organisation engaged in any industry. 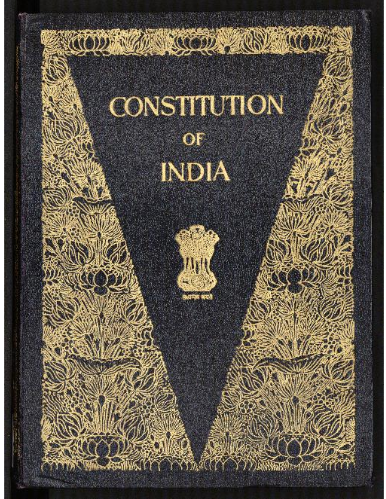 The State shall endeavor to provide, within a period of ten years from the commencement of this Constitution, for free and compulsory education for all children until they complete the age of fourteen years. The State shall regard the raising of the level of nutrition and the standard of living of its people and the improvement of public health as among its primary duties and, in particular, the State shall endeavour to bring about prohibition of the consumption except for medicinal purpose of intoxicating drinks and of drugs which are injurious to health.